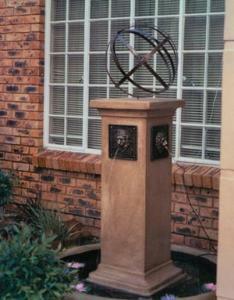 A bit of SA is on display in Belvedere, Kent, UK. 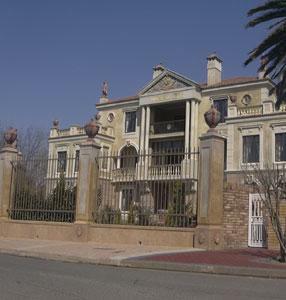 This product has travelled all the way from Johannesburg to London in a container. 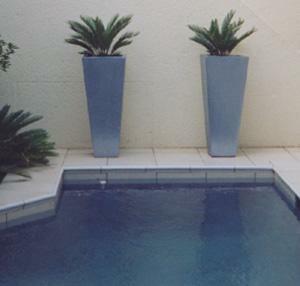 Use a few modern containers to transform your pool. 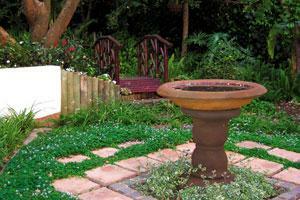 Use a modern pot in that area where you would like to create a focal point. 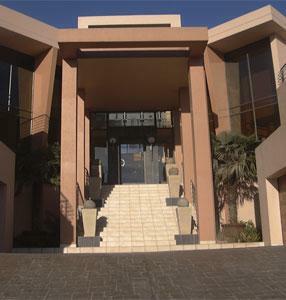 Concrete Decor finishes used for this building, including the detail on the outside wall. 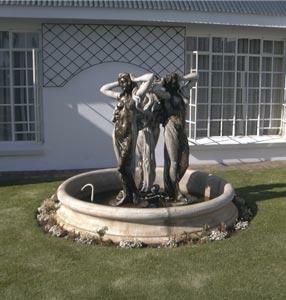 Statues and a dam used to create a water feature as a focus point in the garden. 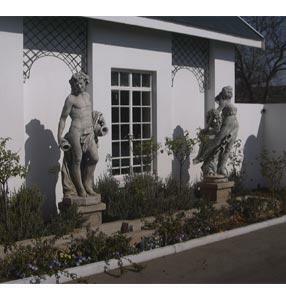 Statues used as decorative focus points in the garden. 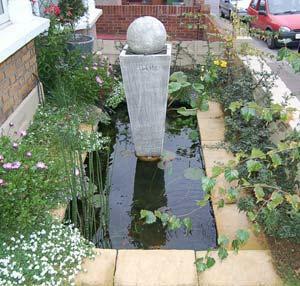 Square Modern pots used as water features to finish off this entrance to a house. 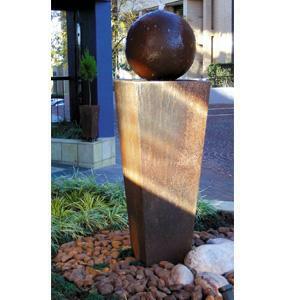 Liven up your entrance with a modern water feature in a rust finish. 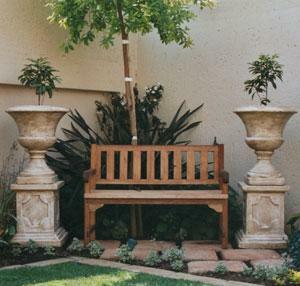 Use a meranti bench with concrete pillars and urns to create the perfect spot. 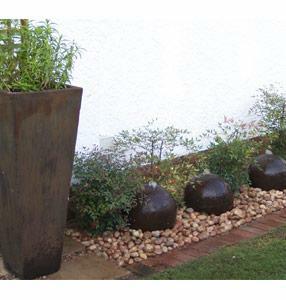 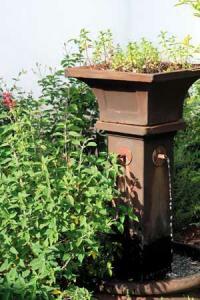 Simple combination waterfeature and modern pot in a Rust finish. 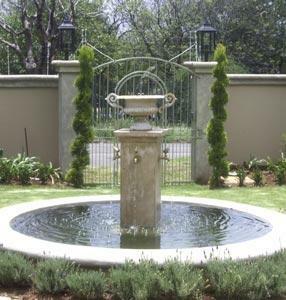 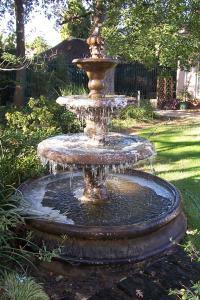 Water feature with brass taps done by La Fleur Garden Designs. 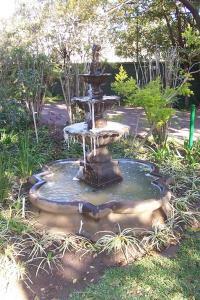 Bird bath in quiet corner of garden. 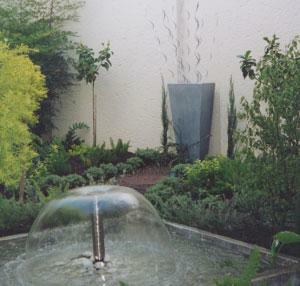 Combination of certain products in a herb garden. 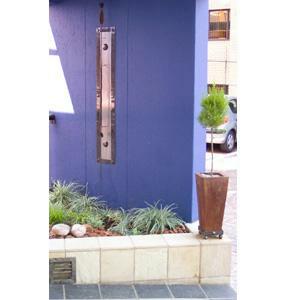 Modern water feature used at the entrance of an office building in Randburg. 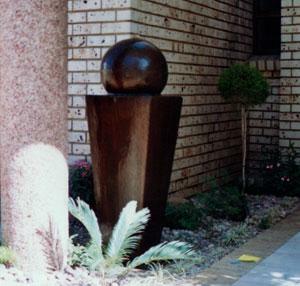 Small modern pot with topiary used at the entrance of an office building in Randburg.